The shipping industry has 11 months until the International Maritime Organization's sulfur regulations — commonly referred to as IMO 2020 — take effect. Although the regulations and enforcement date were announced in late 2016, these next 11 months are the last chance for the industry to prepare for compliance. Global sulfur emissions limits will drop to 0.5% mass by mass next year, with even stricter limits in the Emissions Control Area. Starting Jan. 1, 2020, ships must comply with a sulfur emissions limit of 0.5% mass by mass, down from the current stipulation of 3.5%. As ocean lines adjust, shippers and supplier industries must follow suit, creating lingering questions of whether the supply chain will be ready for the upcoming shift at the start of the new year. How are carriers adjusting their fleets? Purchase and use low-sulfur fuel. Use liquefied natural gas (LNG). Most ships will go with the first option, and only a handful will use LNG, said Simon Heaney, senior manager of container research at Drewry. By the end of the year, up to 2,000 ships may be retrofitted with scrubbers, according to an estimate by IHS Markit — far less than IMO's prediction that 3,800 vessels would have scrubbers. "That's not a lot when you consider there's 120,000 ships floating around at the moment," Spencer Welch, director of oil markets and downstream at IHS Markit, told Supply Chain Dive. "It's a drop in the ocean — pardon the pun." Scrubbers cost up to $10 million per ship, which explains the low number of vessels taking this route. Instead, many carriers have decided to scrap older ships rather than retrofitting them. Ships sent to the scrapyard accelerated at the end of 2018, and Heaney said he expects scrapping to intensify throughout this year. Will ocean freight rates increase? Probably — but by how much remains to be seen. Heaney told Supply Chain Dive he foresees a "substantial" increase in 2020. "How much of that is base rates ... will be dictated by supply and demand," he said. "But you put on this extra surcharge, then there will clearly be an increase in 2020 over 2019." Fuel prices will play a significant role in the rise of shipping rates, as 60% of a ship's operating cost is fuel, Welch said. Once the IMO regulations are in effect, low-sulfur fuel will be in high demand and tight supply. 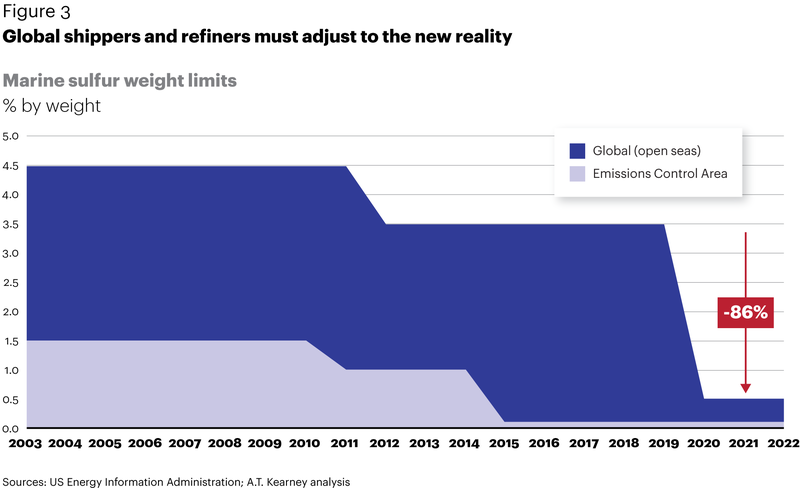 "The refining industry will have to alter its current product slate, increase the supply of low-sulfur fuels and manage excess supply of high-sulfur fuels," Welch wrote in a blog post on IHS Markit. The laws of economics tell us this will raise prices for carriers filling their ships with low-sulfur fuel. "It's possible that the fuel price of a ship may go up by around $200 per ton, and at the moment it's around $300 per ton," Welch said. "We don't think the price of ship fuel will double, but it's reasonably likely to go up by 50% in 2020." "If [carriers] don't succeed in getting an equitable share of the burden between themselves and their customers, they will really hemorrhage profits this year." On the flip side, the cost of high-sulfur fuel will plummet, as only carriers with ships retrofitted with scrubbers will purchase this grade of fuel. "Ships that have scrubbers will have great advantage because for a while, they'll be able to buy this very cheap high-sulfur fuel oil," Welch said. For vessels that already have scrubbers, the payback on the investment could come in less than a year. But for shipping lines now considering a scrubber investment, "it's almost a bit too late," he said. 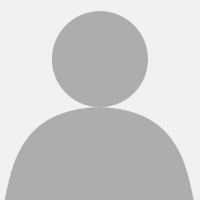 "The order books for scrubbers are virtually full already through 2019." While shippers don't need to make any changes to their cargo or booking process, they do need to prepare for the inevitable price hikes. "If [carriers] don't succeed in getting an equitable share of the burden between themselves and their customers, they will really hemorrhage profits this year," Heaney said. Major shipping lines announced last year some form of surcharge or bunker adjustment factor (BAF). Many of those surcharges took effect at the beginning of this year to offset costs shipping lines anticipate in 2019 as they invest in new ship technology and possibly scrubbers. Shippers, however, appeared woefully unprepared to handle the cost increase. An October 2018 Drewry study found only 10% of shippers had done a cost impact assessment. No update on the study has been conducted since then to assess whether shippers are more prepared now than four months ago. "The crucial thing is that [container lines] are as transparent and open as possible, because the long-running issue for shippers is that they believe, in many cases, these surcharges are merely revenue generating add-ons rather than justifiable cost recovery measures," Heaney said. And shippers should hold carriers accountable, he said. "They need to be in dialogue with their service providers. They should be demanding a full explanation on how the bunker formula is derived and asking questions and being annoying and really persisting in making carriers justify their formula." Although the IMO has set out the guidance for 2020 emissions, it's up to individual countries to enforce the regulations. In the U.S., that responsibility falls to the Coast Guard. "The Coast Guard conducts approximately 9,500 Port State Control examinations on foreign vessels every year to ensure compliance with domestic and international safety, security, and environmental protection requirements," Lt. Cmdr. Michael Hjerstedt with the USCG Port State Control Oversight division, told Supply Chain Dive in an emailed statement. He added the Coast Guard supports IMO's efforts to work with member states and enforce low sulfur requirements. "We don't think the price of ship fuel will double, but it's reasonably likely to go up by 50% in 2020." The Maritime Authorities of the Paris and the Tokyo Memoranda of Understanding (MoU) on Port State Control are getting an early start on helping the shipping industry comply with emissions standards. In December, they announced plans to issue letters of warning to ships found not ready for compliance during routine inspections. The letter contains a list of items port authorities will emphasize, including the right type of fuel on board, written procedures related to changing fuel and personnel familiar with "fuel oil management procedures." "This list is to help you prepare for compliance by 1 January 2020," the warning letter states. "If deficiencies are recorded against any of these items from 1 January 2020 action may be taken by the Port State Control Officer which may include a detention of the ship or other enforcements or administrative or corrective measures." Heaney anticipates minor changes to capacity, but nothing so significant it would disrupt global supply chains. A few ships will need to be sent to yards to have scrubbers fitted — a process that takes six to eight weeks, according to Heaney. Scrapping of ships will also tighten capacity, although shipping lines likely will acquire new vessels to maintain TEU capacity. It's unclear whether all states will enforce penalties in the form of detaining or impounding a vessel that exceeds the sulfur limits. The Paris and Tokyo letter indicates taking ships out of service for non-compliance is an option, which could affect capacity but likely not on a large scale. Will all ships be ready by Jan. 1? Depends who you ask. Heaney anticipates full compliance by the deadline, while Welch is expecting a figure closer to 85%. 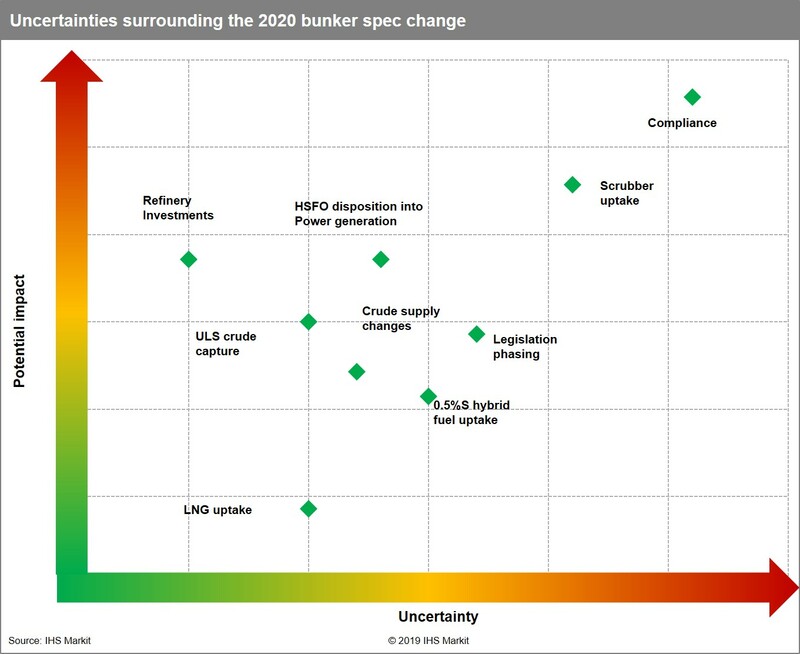 Some carriers may be willing and wanting to comply but unable to purchase the low-sulfur fuel they need to operate due to squeezed supply, making compliance one of the greatest uncertainties related to IMO 2020. "IMO is working with Member States as well as industry (including the shipping industry and the bunker supply and refining industry) to identify and mitigate transitional issues so that ships may meet the new requirement," an IMO spokesperson told Supply Chain Dive by email. "For example, developing guidance, developing standardised formats for reporting fuel oil non availability if a ship cannot obtain compliant fuel oil and considering verification and control issues." The Coalition for American Energy Security emphasized it would be ready to supply carriers with the required low-sulfur fuel. "America’s sector is prepared to meet demand for low-sulfur fuel," spokesperson Ken Spain said in a statement. "The investments made by U.S. energy producers will ensure ... timely implementation of the IMO standards." A number of proposals called on the IMO to push back the January 2020 deadline and allow the industry more time to adapt, but the regulator struck those down. The proposals may have given false hope to the shipping industry, as some players waited to see how the regulations would pan out, Heaney said. In the end, Welch said it comes down to a classic "prisoner's dilemma" scenario, where each industry waits on the other to make the first move. "Even if [IMO] had given 10 years notice, for the first nine years, nothing would have happened. Refiners wouldn't have gone ahead and made extra investments, because they had no guarantee of a payback, and the shipping industry probably still would not have installed scrubbers," Welch said. "We'd probably still be in the same mess with 11 months to go."